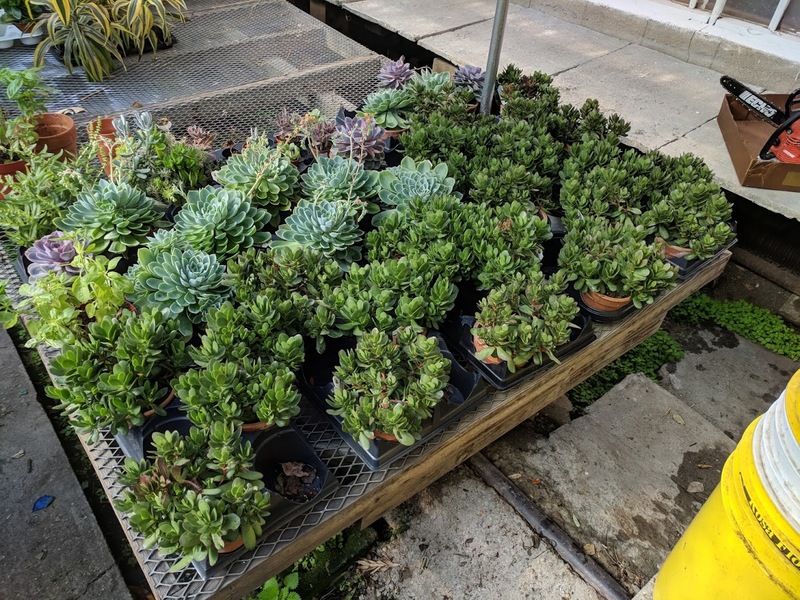 If you’ve recently visited a coffee shop, restaurant, doctor’s office, a friend’s home, or anywhere else with counters and tables, you may have noticed the rise in popularity of succulents. For those unfamiliar with these types of plants, a succulent refers to any plant that stores water in its leaves or stems (sometimes both). They are available in all shapes, colors, and sizes, making them perfect for almost any space. Well-known succulents include aloe plants, cacti, and zebra plants. Take a look at three of the top reasons succulents have risen in popularity within recent years. Whether your style is more modern or traditional, succulent plants work well with almost any decor. If you want a design that will match a particular room, planting succulents in decorative containers is a great way to achieve the look you desire. Succulents are available in small enough sizes to fit a tiny glass container, and they can also be arranged to fit large pots or containers. Whatever your space constraints or needs are, succulents can be customized to work with any interior or exterior area. Additionally, succulents provide a wide availability of colors. Although there are many green options, succulents can also be found in shades of pink, red, orange, purple, and blue-green. If you don’t have a green thumb, or can’t commit to consistent care of a plant, succulents are a great choice. Because they can store water in their leaves and/or stems, one weekly watering is all that is needed to keep these plants healthy. They are built to handle drought conditions, so occasionally forgetting to water them will usually not cause any harm. Also, succulents can handle almost every environment (except for the extreme cold). This means that whether you have access to full, minimal, or no sun, or if you choose to plant indoors or outdoors, your succulents will stay alive. Aside from the concrete, logical reasons for the rise in popularity of succulents is a more subjective reason: they are simply gorgeous to look at. The diversity of colors and shapes of succulents are powerful enough to brighten one’s mood and environment in an instant. Whether decorating a dorm room or an upscale cafe, you can easily bring a stunning element of nature into any space. Perhaps it is the desire to experience beautiful, natural elements on a daily basis that has contributed to the continued rise in popularity of these versatile plants. When choosing the best succulents for your space, decide what colors and styles will work best with your existing decor. Do you want a bright, vibrant feel, or a more natural, relaxed appearance? Also, be sure to assess how much space you will need to cover with your succulent plants, and what style of container you would like to use. No matter what you choose, you are sure to enjoy the wide array of benefits provided by succulents.